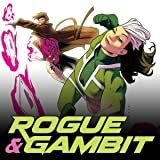 Collects Rogue & Gambit #1-5. Everybody's favorite X-couple is reunited! And boy, are they not happy about that. 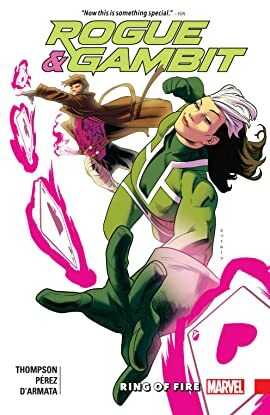 When Kitty Pryde sends Rogue and Gambit on an undercover mission to find a group of kidnapped mutants, what they discover will shock them. But will it also bring them closer together? Caught in the grasp of Lavish, Rogue and Gambit must face a battle royale — against each other! When saving the day means letting go of everything you just fell in love with all over again, can they bring themselves to do what must be done? Prepare for: Making out! Memory loss! Power swapping! Witty banter! Emotional manipulation! Monologuing Big Bads! Doppelganger Golem Clones! And all of it in a high-stakes adventure caper that only the two hottest X-Men can deliver!